"You so very kindly loaned us the color samples for hardwood floor stains. The house is finally on the market and everyone has said how beautiful the wood floors are. Many have asked for your company's info, so get ready for the big onslaught! Thank you so very much for your patience and your ever-ready assistance." "Thank you for installing the custom hardwood floors throughout at my home. 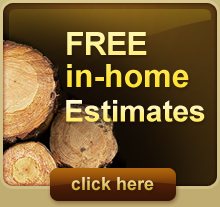 I searched all over Portland and choose USA Hardwood Floors because of the quality you gave me for such a great price. I love my new floors and I will recommend your company to all my family and friends!" "We are so happy to have chosen USA Hardwood Floors to installing, sand and finish our new floors. We highly recommend your work and services. Throughout the entire construction process, we felt at ease working with you. You are very professional, diligent, and prompt. Thank you for accommodating our schedule and for installing magnificent hardwood floors in our home. "